My name is Joe Calhoun. Iâm from the midwest (Indiana) and the only way I get to listen to an Off-Road channel is thru podcasts. Youâre show is very entertaining and useful. This is the exact stuff Iâm into. I drive over an hour one way to work everyday and your radio show helps make that seem shorter. Please follow me @night_krawlers on Instagram. Keep up the good work! Rather listen to your Podcast and hear some super cool people and stories on your show while on our long drives than to hear the same song over and over! Thanks for teaching us young racers some reeally cool things on your Podcast! The next Kenny and Crash? Jim n Ami work good together. Keep it cranking guys. Major fan here. I listen on the local AM radio station, but just wanted to review to support. Had no idea this existed until I found it here on itunes. WOW. Good stuff! Proud of this dude. Keep grinding brother! They are awesome together. This is one of the best shows in the country. Blows my mind after all this time that this show gets the guests it does. Keep rocking! I love the down and dirty radio show I think Jim Beaver and Ami Houde are great together. Keep up the good work guys we love the interviews. Never ceases to amaze me how Mr. beaver pulls in the interviews he does. 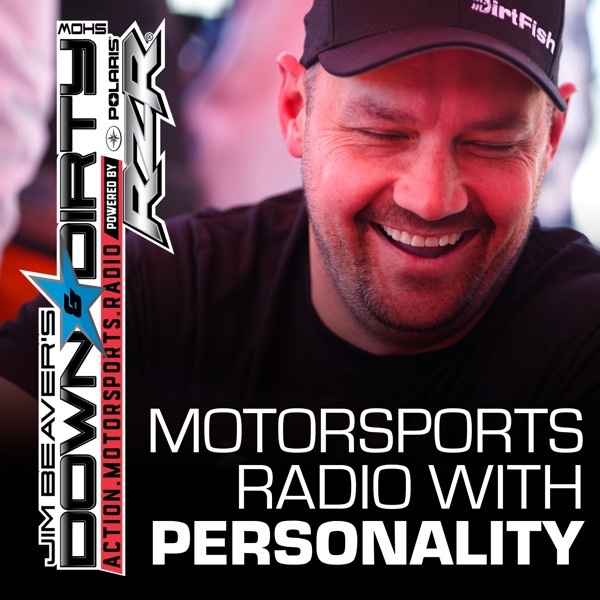 Seriously the best motorsports radio show I know of. Just fished Sirius XM would figure that out. Keep it coming, always look forward to more shows. Great show and great guests. Good App so nice and best so thanks. podcast Looks good Look really nice. When I was a kid, all I wanted to do was drive monster trucks, rally cars, and race in the desert. Jim Beaver brings an inside look at all things action motorsports. He is extremely well connected with the biggest names in desert racing, motorcross, global rally cross, and many other types of motorsports. The audio quality is top notch and Jim has a true passion for the show topics. This is an outstanding show and I look forward to catching it on the download each and every week!